Lucknow: Smarting from the drubbing at the hustings, BSP chief Mayawati on Wednesday decided to move court against the alleged tampering of EVMs and observe a 'black day' every month against the "murder of democracy" by the BJP. Mayawati charged that the BJP victory in UP polls smacks of "dishonesty" and "fraud". "After we did not get a proper reply from the Election Commission on our complaint lodged with them soon after the results were announced on 11 March, the party has decided to go to court in this matter so as to save (the country) from such a fraud in the future and save democracy," she said. The BSP leader was speaking to mediapersons ahead of addressing partymen at a review meeting on debacle in the recent polls. BSP, which had 80 MLAs in the outgoing Assembly, managed to win just 19 seats in the 403-member House. 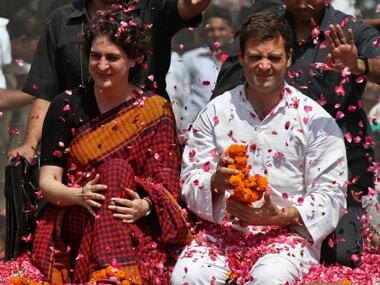 "Our party has also decided to launch an agitation in Uttar Pradesh and other states to expose this fraud...the party will observe 'black day' at all the district headquarters in UP and state headquarters in other states on the 11th of every month, the date on which they murdered democracy, and the first demonstration will be on 11 April," she said. The BSP leader, who had alleged large scale tampering in the EVMs soon after results were announced on March 11, said that in order to hide its "dishonest victory", BJP has now taken refuge in saying had that been the case they would have done the same in Punjab, Goa and Manipur. "But they need not take the people as innocent...had they done the same in other states they would not have been able to give a proper reply to questions raised by people and would have been caught easily," Mayawati said, adding they did not indulge in tampering in smaller states as they had to keep something for their defence. "Besides they did so in UP as they used to say that for reaching the Centre they have to go through UP and so concentrated on it," she said. "They have got this victory through tampering in the EVMs and this win smacks of dishonesty, fraud and murder of democracy...if the media is honest it will also not be able to digest it," she alleged. "Our partymen are saying they voted for BSP, but the votes went to 'Kamal' (lotus)...they are wondering as to how this could have happened," Mayawati said. 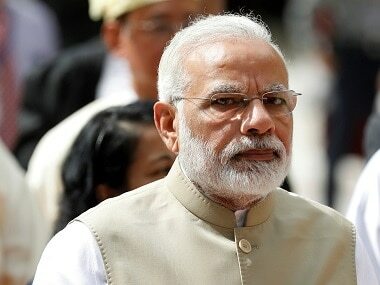 "In Muslim and Dalit-dominated areas too it is the BJP which has got the votes...BJP is saying that they got the vote of Muslim women over their stand on triple talaq...will they (Muslim women) accept BJP when they are first associated with their religion and (also) when BJP did not give even a single ticket to Muslim? "Had they been well wishers of Muslim women, they could have given 20 to 25 tickets to them," Mayawati said. The BSP chief alleged that to divert people's attention from this "fraud", BJP leaders and some 'dalal-type' people sit in the media (discussions) along with some others of different parties and try to change the minds of the people. 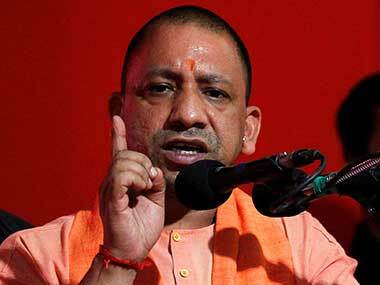 She said the BJP was projecting as if the BSP is finished in the media and branded those taking part in such discussions as "bonded labourers" who are made to speak out against the BSP. "You are dishonest, you killed democracy and committed fraud and so are doing all this...chor kabhi nahi kehta hum chor hain (a thief will never say he has committed theft). If they are honest and clean, what is the need for clarifications?" she said in her hard-hitting remarks. The BSP supremo said if BJP's denial of any tampering in EVMs had any ground they should not have any fears and they need not run away from the charge. "If they are really honest and loyal to democracy then they should immediately order new polls through traditional paper ballots. This will prove who has killed democracy, but they will not agree to it," she said. Mayawati said that despite the massive victory in Uttar Pradesh and Uttarakhand, BJP leaders including Prime Minister Narendra Modi were wearing an artificial smile. "The smile and glow which needed to be there on their face after such a massive win is not visible," Mayawati said, adding that even the language being used by them also proved that this win in not an honest one. 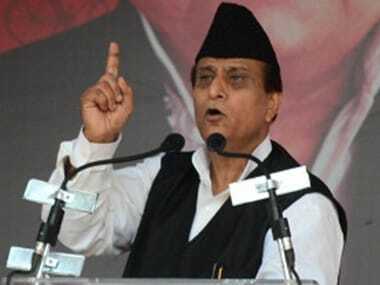 The BSP chief charged that if the BJP comes to power again in 2019, it will either make the reservation policy ineffective or end it completely as per the RSS agenda. "This is well depicted in the 'chaal, charitra, niti and neeyat' of these people," Mayawati said adding that through BJP's win in Uttar Pradesh and Uttarakhand, its leaders and especially Prime Minister Narendra Modi are dreaming of coming back to power at the Centre again. Paying homage to party founder Kanshi Ram on his 83 birth anniversary, Mayawati recalled that he (Kanshi Ram) had warned against efforts by some sections to keep SC/ST and OBC and converted people belonging to Muslims and Christian communities out of power. He had stressed on measures to overcome these challenges through struggle. 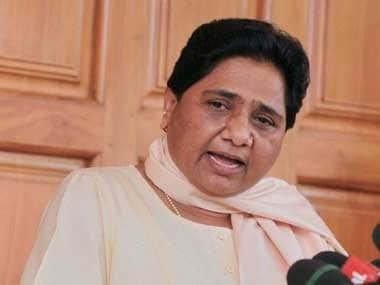 "We have been seeing such a trend since the past few elections to stop these sections from standing on their feet," Mayawati said indicating at the poor show in the 2014 Lok Sabha elections when the party failed to win even a single seat.